A Tunisian Jewish neighborhood was firebombed overnight Tuesday amid protests in the country over rising costs and government austerity, members of the community said. 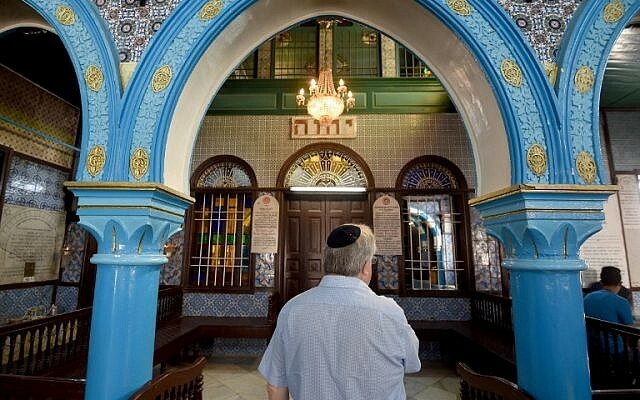 “There was a failed attempt to burn down a synagogue in the Jewish Quarter of Djerba through the use of Molotov cocktails, but thank God, no one was hurt and security and civil protection are now doing their duty,” Elie Trabelsi, the son of the synagogue’s president, Pérez Trabelsi, wrote on Facebook. The security source added that the fire was contained within a small portion of the site. A representative of Tunisia’s Jewish community told AFP that two Molotov cocktails were thrown at the entrance to two schools in the neighborhood, but their interiors were not damaged. 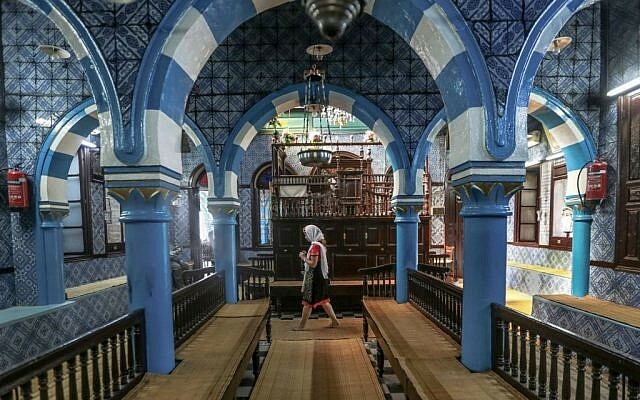 Djerba is home to the historic Ghriba Synagogue, believed to have been founded in 586 BCE by Jews fleeing the destruction of the Temple of Solomon in Jerusalem. 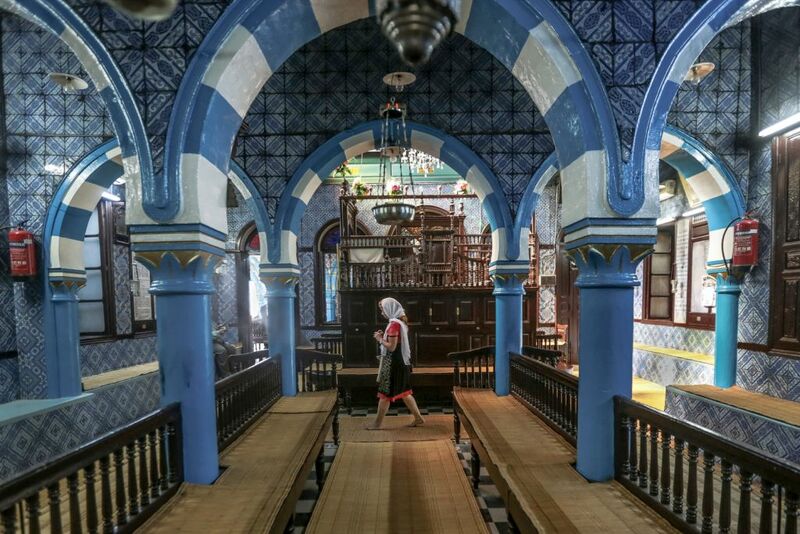 The Ghriba Synagogue has long been a destination for pilgrims, especially Jews of Tunisian descent. 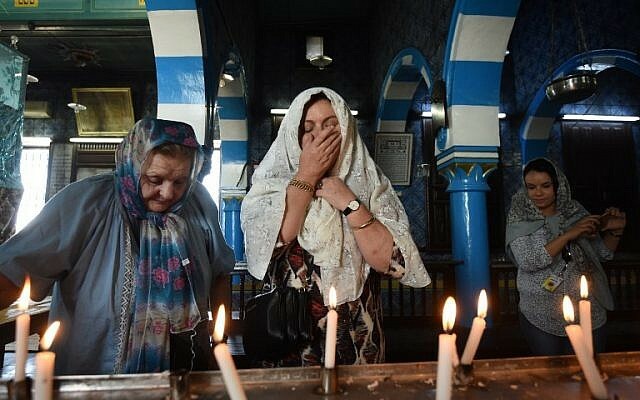 The number of pilgrims visiting the synagogue has fallen sharply since it was hit by an al-Qaeda suicide bombing just before the 2002 pilgrimage. Before the attack, which killed 21, the event attracted as many as 8,000 pilgrims a year. Now, hundreds flock to the site annually. In February, Israel’s Foreign Ministry charged its diplomats with calling on the international community to urge the Tunisian government to protect its Jewish community. The order was issued following several anti-Semitic incidents in the country. Some 1,500 Jews live in Tunisia today, down from an estimated 100,000 before the country won independence from France in 1956.